Cities are the most eloquent material representations of the human cultural dimension, which bears witness to the confluence of creative powers allowing for the regeneration of societies. Miquel Navarro’s “cities” show idealised landscapes conveying the complexity of multiple chronological and physical dimensions, where the memory of bygone eras is reflected, while at the same time a surrealistic, fantastic and metaphysical territory emerges, thus bringing artistic expression and a new way of thinking the world together with a single gesture. Miquel Navarro was born in Mislata, Valencia, Spain, where he currently lives and works. Having attended Valencia’s San Carlos School of Fine Arts, from 1964 to 1968 he devoted himself mostly to painting. He turned his attention to sculpture in the early 1970s, and in 1973 created his first series of cityscapes — La ciutat 1973-1974. After his first one-man exhibition held in 1972, he has participated in a number of group and solo exhibits in Spain and abroad, such as the 2005 solo show staged at IVAM – Instituto Valenciano de Arte Moderna (to which he donated more than 500 pieces of his production), and one of the most recent exhibits, “Monumentos y Multitud”, held at Galeria Fernández-Braso, Madrid, in 2014. Navarro’s public art may be found in several Spanish and European cities, namely L’Almassil, designed for Mislata’s main square in 2010, and, more recently, Casa de Paso, built for the 10th Santo Tirso International Symposium of Contemporary Sculpture in 2015. How is a city created? How is it organised? Living, recreational and circulation spaces – what are their distinctive characteristics? “A city at your feet” is a hands-on workshop that lets the imagination run free and explore sculptural shapes. 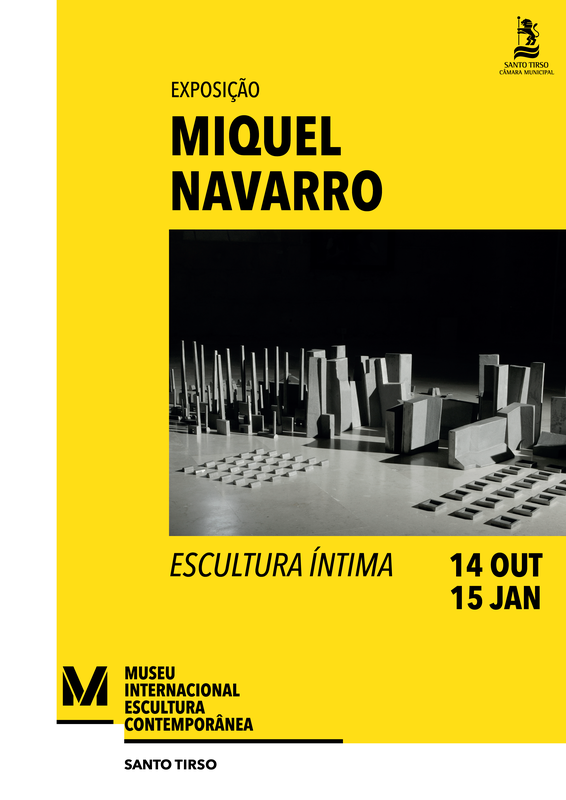 Inspired by the work of Spanish sculptor Miquel Navarro, participants are encouraged to design volumes, imagine city planning models, transform scales and discover an endless number of constantly changing fanciful shapes and compositions, in order to build their imaginary cities. Staff-led tours featuring highlights of the permanent collections in both museums. These engaging tours provide deeper understanding of themes related to the exhibitions staged at the museums, exploring the intersections of different fields, from contemporary art to archaeology and architecture, thus enabling visitors to develop critical thinking and share their perceptions through educational fun activities and role-play. Target audience: Preschool, primary and secondary students, and adults. A two-hour-long tour highlighting the most significant pieces in the open-air museum of contemporary sculpture, sitting throughout different spaces in the city of Santo Tirso.